What tactic did Italy employ? 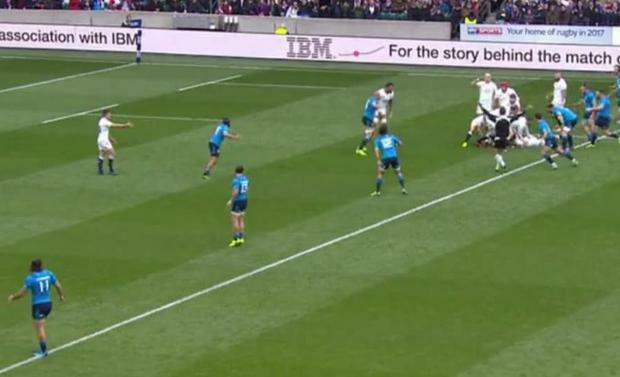 At first glance, Italian players led by scrum half Edoardo Gori seemed to be permanently stationed offside past English rucks, but were not being penalised to the fury of the Twickenham crowd. The offside law prohibits any players advancing past an invisible line from the edge of any ruck unless they come through an imaginary one-metre gate. Yet Law 16.1 states that a ruck is only formed when “at least one player must be in physical contact with an opponent”. By not contesting possession after the tackler has rolled away then no ruck has formed and therefore Italian players were free to advance past the tackle area without being penalised for offside. As much as Eddie Jones howled his disapproval, referee Romain Poite was applying the law correctly. 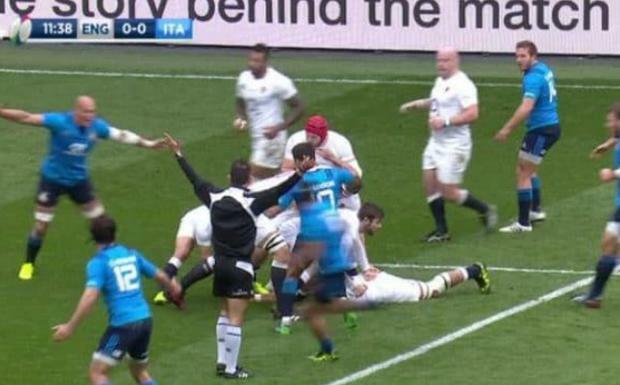 Italy made a clear decision not to compete at the breakdown and attempt to steal the ball after a tackle. This took offside out of the equation, so Italian players were legally able to go beyond the ball and disrupt play. This caused mass confusion with England finding Italians standing next to them in midfield as they looked to play. Why was it so effective? Mainly because England were completely mystified by what was going on. Although a recent change to the spirit of the game around the laws prevented Italy from tackling Danny Care, the scrum half frequently found himself surrounded by Italian players with all his passing options blocked off. Twice in the first half, he was forced into turnovers and moreover it completely stifled England’s passing game. The tactic has been used before, particularly in the southern hemisphere and also by Wasps in a European Cup match against Toulouse. 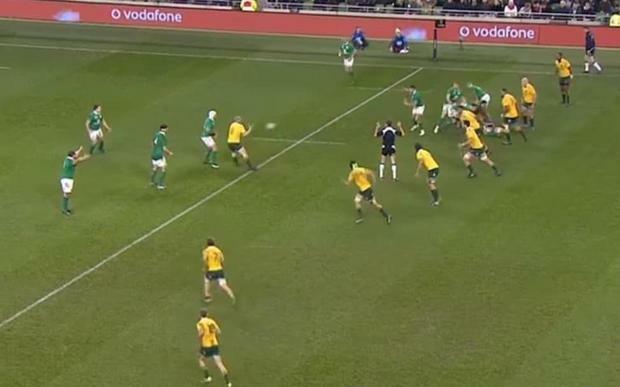 The most high profile example came in the autumn when Australia flanker David Pocock intercepted Irish scrum half Conor Murray which nearly led to a try. 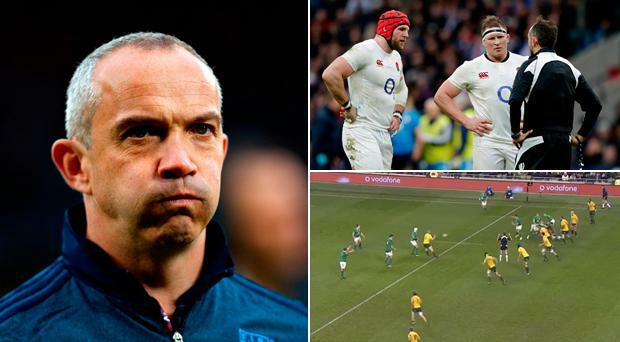 The seed was planted in Italy coach Conor O’Shea’s head by his defence coach Brendan Venter after being on the receiving end of penalty against Ireland that they believed to be offside until they received the referee’s feedback. How did England overcome the tactic? Despite being completely befuddled in the first half, this was not an entirely unknown tactic for England. Last November, defence coach Paul Gustard spoke about its use saying “It is just a way of trying to manipulate the attack and make them think differently. We are aware of it, we saw it and we will have plans in place.” Evidently it took until halftime for those plans to be remembered. George Ford admitted afterwards: “It took until we went in at half time to really clear our minds and come out with a clear plan of what we needed to do in the second half.” The simplest way of countering it is to carry straight through the middle, which is what England eventually did in the second half enabling a greater attacking platform. England even started to use the tactic themselves which shows if you can’t beat them then join them. World Rugby are likely to review the law and issue a clarification in the coming days that will effectively end its practice. As brilliant a guise as it was, it did kill large parts of the game and if every underdog started copying the practice then it would ruin countless games as a spectacle. Jones wants the offside line to be drawn as soon as the tackle is made, regardless of whether it is a ruck, which seems a reasonable suggestion.